No detecting in Central Oregon for a month due to snow and reports of 60°+ days convinced me to travel to this old town with the boys. The first day I used my Relic, trying to “learn the language.” I found a token from Vale and a 1930 Wheat back. The next day I used my Racer 2 and found a few targets but nothing to brag about. 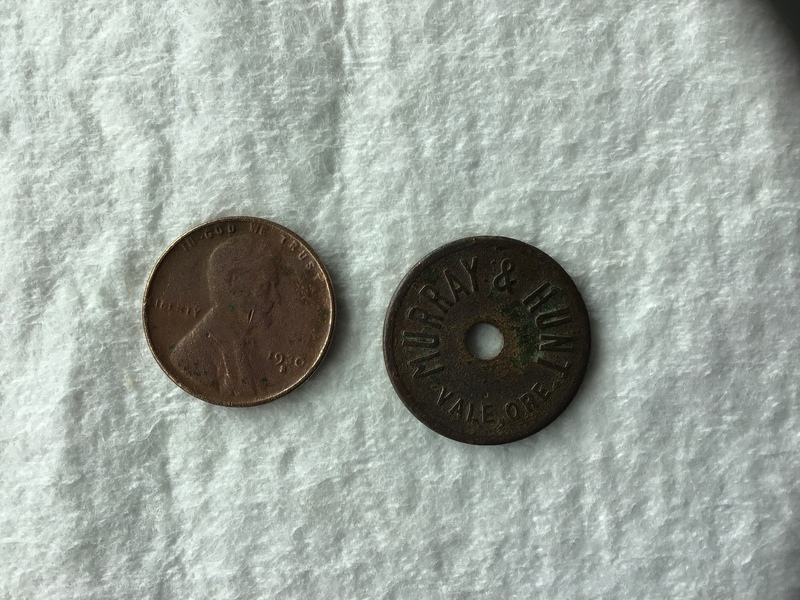 The token I found listed in the Token Catalog but did not find out it’s history. I did find a Murray who was an early settler in Vale. Thanks for the invite, Gregg and Monte.